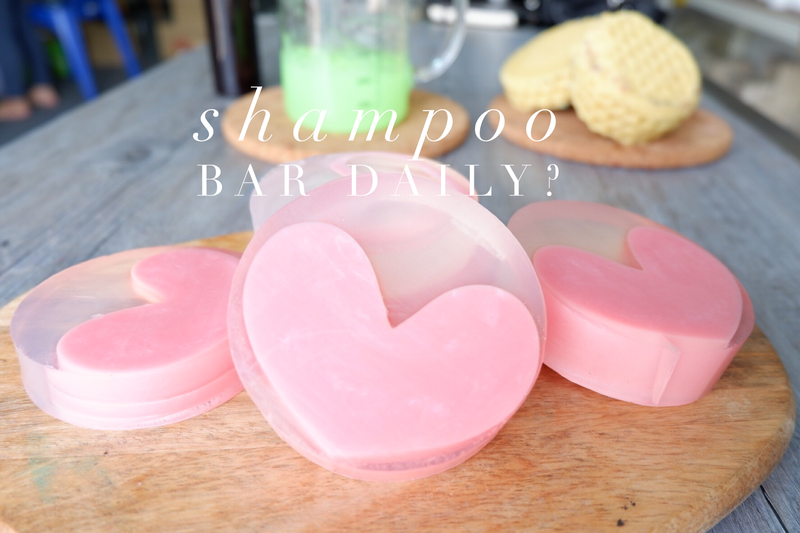 SoapLab Malaysia: Can I Use Shampoo Bar Daily? Can I Use Shampoo Bar Daily? Will my hair get dry if i use the shampoo bar daily? Hi good morning. Heres a question i got asked recently. For those who don’t know; SoapLab Malaysia recently launched shampoo bar that is sulphate free. Many have used and we received positive feedback about it. However; there was a few who asked if its ok to use the shampoo bar daily. As you can see; the only ‘surfactant’ in this shampoo bar is disodium lauryl sulfosuccinate that is a very mild, coconut oil derived surfactant. Its one of the mildest surfactant; which means it doesn’t ‘cleanse’ as strong as SLS. Now if you have read the SLS story and how it works; you will know that its a powerful cleanser that removes dirt and body & scalps natural oil resulting in extreme dryness over repeated use. Due to that SLS based shampoo is not something you should use daily. Sodium lauryl sulfosuccinate on the other hand is a very mild surfactant; therefore it is not as highly cleansing as SLS. It doesn’t remove that much ‘natural oil’ from our scalp. Almost none. It does its job to ‘clean’ but not ‘squeaky’ clean like SLS. If at all you have dry scalp but requires daily washing; its ok to go ahead. Just after that; it would be great if you top up this hair butter weekly to keep your scalp moisturized. Hope you found this article useful and if you have any question. Please don’t hesitate to comment below.